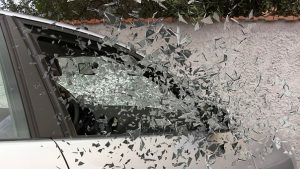 Boxford, MA (June 25, 2018) – Three people, including two children, were seriously injured on Monday morning in Boxford Massachusetts. The crash happened along Route 97. The weather at the time was rainy and the roadway was wet. Police say that a female driver and two children were traveling on Route 97 in a small compact vehicle when the vehicle departed the roadway and struck a tree off the right side of the road. Boxford police and medical personnel responded to the scene of the collision. All three accident victims were transported to an area hospital for treatment. The injuries are classified at this time as being serious in nature, however, there is no word on whether they are considered life-threatening. Police did not identify either the female driver or the children involved in the crash. The investigation remains ongoing. We are saddened to hear of this wreck in Boxford. It is always disheartening when children are injured in a crash. Serious car accidents happen daily across Massachusetts and involve people of all ages and from all walks of life. The pain and suffering involved with a serious car accident is universal in nature. If you have been involved in a serious accident with injuries, you should first focus on healing and recovery. Once you have begun treatment for your injuries, you should be in touch with a personal injury attorney as soon as possible, before you speak with the insurance company. If you try and handle your claim by speaking with an adjuster, you may be giving up valuable legal rights and protections that you would otherwise have following a crash. Your personal injury attorney will ensure that your rights are protected and are respected by the insurance company. You do not want to feel like you sold yourself short following a serious accident. These events are life-changing and should be treated with care to ensure that you receive the compensation you deserve. At the Law Offices of Jeffrey S. Glassman, our Boston personal injury attorneys treat your case with the care and compassion that is warranted considering the seriousness of the circumstances. When you come to our office, our team members will be with you every step of the way while you recover.